Marti Mabin was born in St Joseph Missouri. and later moved to Nebraska . 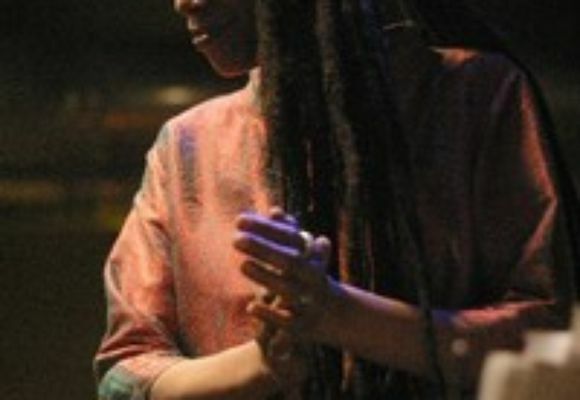 She moved to San Francisco where she started performing with African Highlife bands and the jazz trio Aisha . She also worked with musicians from the bay area such as pianist Joe Bonner, drummer Bob Brea and trombonist Julian Priester. In 1979 she moved to New York and performed with the Oliver Lake , Curtis Clark and has also recorded with Andy Bey, Charlie Rouse, and Albert Dailey. During this period she has worked with the legendary pianist Mal Waldron . She has also toured Europe with saxophonist David Schnitter and led her own groups in Spain where she frequently performed with the great pianist Tete Montelieu. Presently she is performing and recording with multi-reed instrumentalist Carol Sudhalter in various ensembles.